In the early 1990’s things were heating up in the WRC and with Japanese manufacturers Toyota, Subaru & Mitsubishi all vying for rally dominance Nissan decided they weren’t about to be left out. 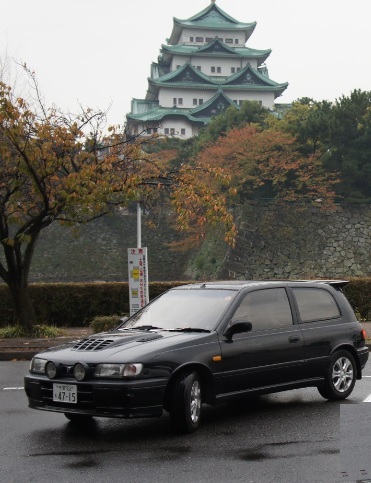 The chosen car was the humble Nissan Pulsar. Rules at the time stipulated that Nissan needed to make a road going version for homologation of the rally car. This lead to the birth of the Pulsar GTiR. Through no fault of the car, Nissan’s rally career with the Pulsar struggled and was abandoned after just 9 events but as a production car the GTiR was a huge success. Featuring a unique version of Nissan’s SR20DET 2.0 Turbo engine as found in the Silvia and the tried and tested ATTESA 4WD first developed in the R32 GTR it lead to excellent performance for the time and even today a stock GTiR feels properly fast. While it won’t win any styling awards, its heavily vented hood, wide track and deep front bumper gives it a purpose-built racer look. Get the best your budget allows and avoid ones showing signs of rust or signs of track use. An aftermarket front mount intercooler is much more efficient than the standard top mount and is something to look for.